The ride-sharing service Uber has already disrupted the traditional model of transportation services. And with UberEats, the company becomes one of many looking to do the same to the world of food delivery. The ride-sharing service Uber has already disrupted the traditional model of transportation services. And now the company is among many looking to do the same to the world of food delivery. 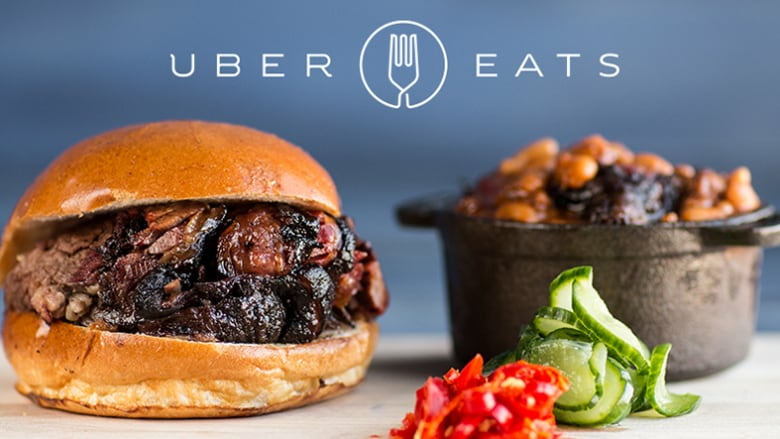 The app-based delivery service UberEats — which lets users order food from partnering restaurants, and have it delivered by an Uber courier — has already had a limited trial run in Toronto, and is now being launched in American cities. And it's far from the only app based service aiming to connect hungry diners and restaurants. Amazon has just launched its own food delivery service in some U.S. cities. It joins a series of existing services like DoorDash, Grubhub, Postmates, Sprig, SpoonRocket, Thistle, OrderUp, FastBite, Seamless and Skip the Dishes. Mike Rowe is the founder and CEO of a Victoria, B.C.-based delivery service called Accio. He says services like his offer several advantages to customers. "We use a piece of software that lets us know where exactly where our delivery drivers are, based off of the GPS on their phone," he said. 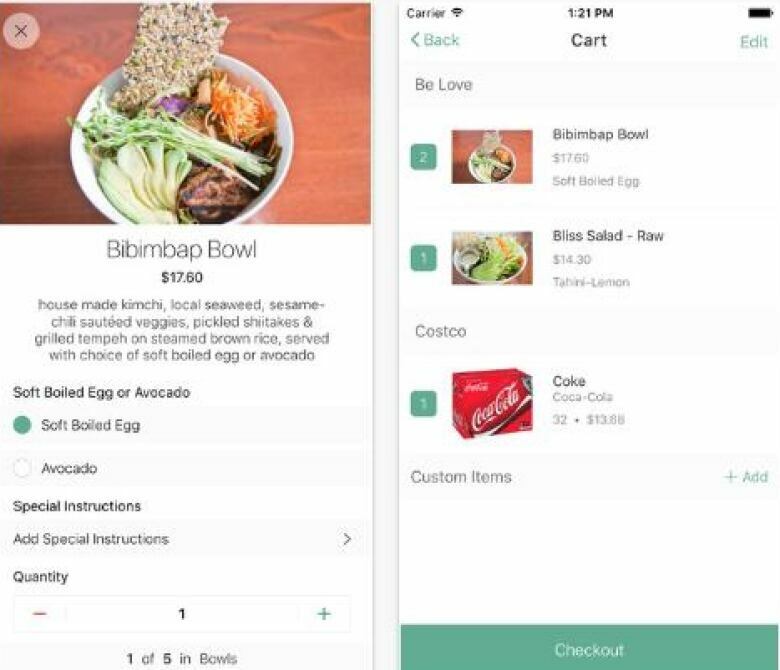 Screenshots of Victoria, B.C.-based Accio's food delivery app. (Accio / iTunes App Store)"And we can send a link to the customer so they can track their driver all the way to them. So they know when to expect them, and they can even meet them downstairs if they're living in an apartment building." Rowe realizes he has competition, saying he's lost count of the number of companies offering app-based food delivery that have cropped up in the past year or two. Some will bring you whatever you want, from anywhere. Others have contracts with certain restaurants. Still others produce their own food. Rowe said he's even had customers place orders for the food that's become fairly synonymous with delivery. 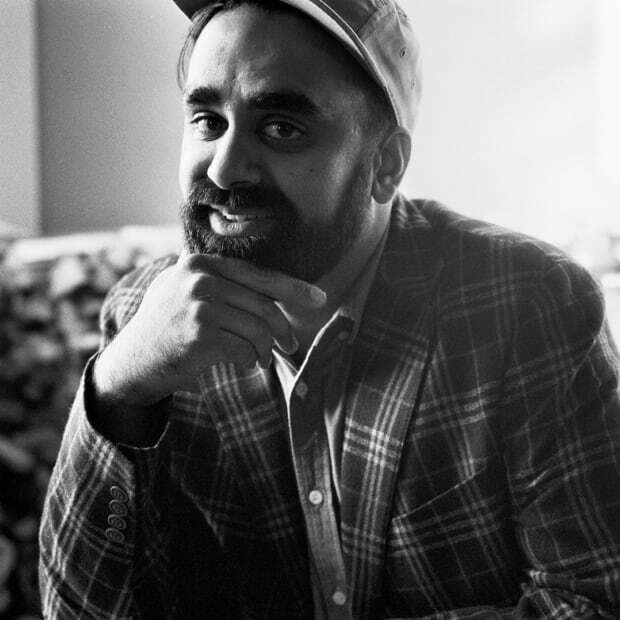 "Even sometimes, we deliver pizza, which is kind of strange to me," he said. "But people will do it because they'll want pizza from somewhere that won't deliver to where they are, or we'll deliver from a pizza place that doesn't have delivery." But why is the delivery industry — which has existed for a long time — reinventing itself now? Uber has demonstrated customer demand for providing so-called "gig-based" services via apps. And investors seem to be hoping the same will happen for app-based food delivery services. According to TechCrunch, 2013 saw $46 million U.S. invested in food delivery businesses. That number jumped up nearly 13 times — to $600 million in investments — in 2014. In 2015, investments were estimated to be over $1 billion. Investors are looking for a piece of a delivery business that, until now, existed largely offline. Customers would phone a restaurant, speak to a human, make an order and the food would be delivered. For restaurants, it's a relatively labour-intensive process, that's now found a software solution. "We don't accept phone calls. People can't call us and ask for something. They have to either text us or use our website or the app," said Rowe. "We don't need as many dispatchers as a traditional company would need. Since they would be spending 10, 15 minutes on the phone getting an order, then 10, 15 minutes calling someone up, you can only do two or three orders an hour for as a dispatcher. But now with our system, the way we've set it up, we can do upwards of 10." Rowe said he expects things will change quickly in the food delivery market. With dozens of small companies — some operating in only one or two major cities — he said several will likely be snatched up by larger ones. And as giants like Uber and Amazon expand their reach, chances are they'll eat up a few smaller companies.